to be sure you're getting the best stuff. 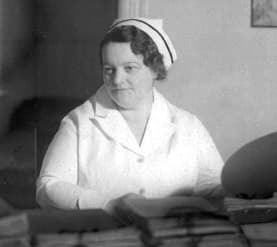 Rene Caisse is the woman credited with bringing essiac into more widespread use. She stated that the most important herb in the essiac formula was the sheep sorrel. Furthermore, she was adamant that the sheep sorrel cannot just be the leaves. 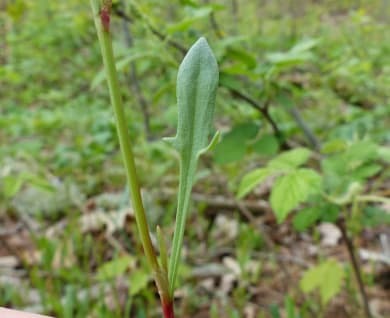 The sheep sorrel must contain the root, and at the right proportion--that is, 20% root of the entire sheep sorrel plant. If you don't make sure you have essiac with sheep sorrel root, the essiac simply isn't going to have the same effectiveness. How Our Family Obtained the Essiac with Sheep Sorrel Root Formula. Our family worked alongside Rene Caisse and Dr. Charles Brusch at the Brusch Medical Research Center in Cambridge, MA. The formula was passed to our family when the time came for someone new to take over. Click here for a timeline of the essiac formula being passed down. Due to the fact that our formula comes from the correct lineage and it's integrity has been maintained, we passed the test of authenticity that allowed our tea to be featured on Ty Bollinger's documentary, 'The Truth About Cancer.' This allowed our formula to be discovered and used by more people than ever before. We Believe in it so much--We Guarantee It! We are pleased to be able to offer an Industry-Exclusive Money-Back Guarantee. You're going to love our Essiac Tea Guarantee--because it means you have absolutely NOTHING to lose by trying our essiac. We understand that you might feel uncomfortable purchasing a product like essiac tea over the internet. You might worry about getting ripped off on a bogus product--but even more importantly, you are entrusting your health in this product. So that's why we take away all the risk from YOUR shoulders and assume it ourselves. We would love to prove to you that we're legit, and the best way for us to do that is to let you test out our product for yourself. You don't risk a penny when you order from our company! Not many essiac tea companies are CONFIDENT enough to put themselves on the line (and their pocketbooks at risk) to offer a money-back essiac tea guarantee! All of our customers are covered by our famous 100% Money-Back No Risk Guarantee! Order essiac from bulk-essiac-tea.com and give it your own personal "test run." Take it for a full six months. If you haven't experienced any benefit from essiac tea, simply contact us during the seventh month after you have used up all your tea to let us know that you have experienced no benefit. We'll rush you a complete refund of every penny. No questions asked. No hassle. No delay. Please be advised that, by accepting an essiac tea refund, you are forfeiting the right to order more essiac tea from us again in the future.